I look forward to this show even on fasting days (5:2 diet) and I cannot imagine how the competitors cope using a kitchen that is not their own. I need my space with my tools in the place I expect to find them in as when it comes to baking I need all the help I can get! I have never made ice cream let alone without diary and to then insert it into a sponge. I have to say this is long forgotten childhood favourite, as often our deserts were fruit orientated (Apple Pie, Rhubarb Crumble to name a few). 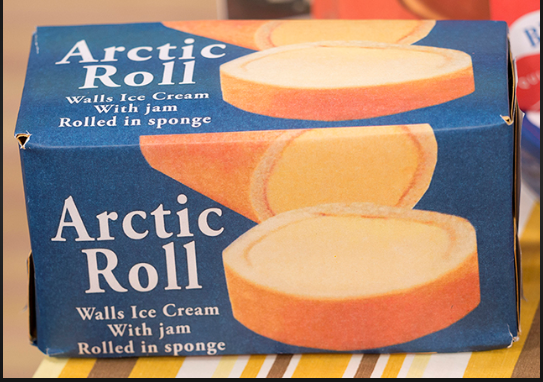 None of tonight’s diary free ice cream rolls looked anything like the iconic Artic Roll, and I would like to think that this will inspire me to have a go but without a sunbathing beauty or swaying palm tree.